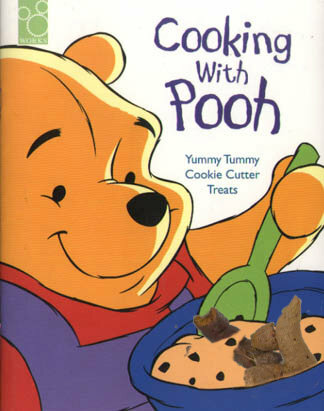 I am so pleased to see the word 'pooh' spelt properly. I was brought up to spell it with a final 'h' - you saw it in Enid Blyton - "Pooh! what a smell" and likewise as the word that children were encouraged to use instead of '****'. It ended with an h. Now I see references to 'dog poo', 'baby poo' etc. These look rather anaemic and weedy next to a good smelly POOH. On a second viewing, it looks like somebody might have edited the picture to include some 'dookie'. If they become independent, the problem might solve itself, as they gain a new national pride. The pooh might just be acting out the frustration of never feeling like they had the respect of many Britains? so, your manholes do NOT seal eh? England, Scotland. The distances tween your "countries" are about the same distances between Philadelphia and Pittsburgh. You've got a thing about Chinese sewers, I remember you going on about Taiwan sewers when I posted a picture of Midsomer Norton. Maybe it's down to giving it an extra big flush. Why the inverted commas? FIFA has no problems with separate national teams. I found the remark about the distance separating the two countries hilariously ignorant. The only distance separating England from Scotland is the width of an imaginary line on a map. Maybe you know already but locks requiring a special "tool" like a pentagonal wrench, are not able to exclude isiots, it does slow em down . Often ,because folks who dump trash into infrastructure like waste or storm drains can merely be given some sort of impediments, which is often good enough to deter them. I don't recall any cities even in some of our hillbilly cities (like Franklin or Charleston W Va) where people actually seek out sewers to clog with junk. We usually have trash receptacles and dumpsters so people either use stealth methods or they drive way out to the country and dump their junk along roadsides. People are pigs all over. I cannot claim any "advanced sense of aesthetics" that prevents us from dumping junk but it seems like you folks are actually hunting out sewer culverts in which to jam that really annoying trash, we just litter the countryside in hopes that hiway crews will pick it up . I imgine that the first time someone knows they've got a pooh plug is when the road floods. yeh you would , but that's cause you have no sense of style in language. You are pedestrian, more like a phonebook. You, apparently, have no geographical sense. Philadelphia is about 250 miles from Pittsburgh. Scotland and England are contiguous. But thanks for the laugh--you talking about style in language is really hilarious. it was intended more for a sense of scale set. I guess , from your mild derision that you are unable to support it. Oh well. "In Britain, a hundred miles is considered far .In America a hundred years is considered old"